Etsy is an online retail community that has revolutionized the small business. On this platform, people can view your company’s products, communicate with you directly and purchase from your individual store with a few simple clicks on the site. Your business should be using Etsy for multiple reasons. Etsy can help you develop your business through the experience of creating your very own retail store. Etsy has created a more personalized shopping experience by allowing the customer and seller to work together. Try these six tips on using Etsy to grow your business and experience this online network firsthand. Being relatable to customers is an important step in building successful business-consumer relationships. This is an important step whether you are building a business online or offline. Jason Rueger, from Fit Small Business, suggests showing customers that you know exactly what they need and that you offer the best products for them in your store. Rueger recommends making a connection with the buyers when they become interested in your product by sharing a story with them. This will help them remember that your store provides its shoppers with a personal and unique shopping experience. Remind your customers that you are a person just like them. Show them that you care that they are receiving the best quality products. This is a great foundation for a solid business-consumer relationship. The photographs of your products have the ability to draw people’s attention to your shop. Femtrepreneur advises that you use a white backdrop for photos, instead of a colorful background that could distract from the product. Taking photos in natural light and cropping them to emphasize the product are also tips recommended by Femtrepreneur. The more professional the photographs and overall shop look, the more credibility your store gains as being the best choice for consumers. Product photographs will leave an impression on prospects, so ensure that each post is picture perfect. The more your shop grows, the more opportunities you have to present new products on your site. Tara Gentile, from Etsy, suggests introducing a single new product and analyzing the success before you start growing your store with many new product lines. Gentile explains that this ensures you are creating products that your customers have shown interest and excitement in. Give potential customers an inside look at what’s to come throughout the rest of your product line. Opening your creative process to feedback from your customers is a great way to stand out while growing your business. Customer service is imperative to any business venture and Etsy is no different. Camilla Gurun, from Etsy, emphasizes the importance of positive reviews that can be achieved by going the extra mile for the customer. Good customer service can encourage consumers to come back to your store in the future. Respond to questions, comments and concerns sent using your store’s messaging system. The direct messenger is a great tool designed to allow your company to have as much interaction with consumers as possible. On a site as vast and competitive as Etsy, this can make all the difference. When growing your store on Etsy, it is important to develop the brand you want to grow as well. The Daily Dot suggests creating a reputation for your business on Etsy by providing high-quality products and caring about the customer. Create a color scheme or package design that will define your company as a brand. The Daily Dot also recommends showing the community that you are a brand worthy of their patronage by being an active and positive company both online and off. When people know what to expect from your company, they will feel more confident in purchasing from you. Using tags is an important way to bring your products to the search results of potential customers. Jason Rueger, from Fit Small Business, explains that when you post a product in your shop, you are able to add 14 tags or keywords about that product. Rueger recommends creating each of these tags with terms related to the product. This brings even the most unique product to the forefront of their search results. Use these tags as a way to reach as many people on Etsy who are searching for products similar to those of your shop. The more prospects viewing your company’s products, the better it will be for your store as a whole. Build relationships, a reputable brand and your own personal store all within one site. With some hard work and creative ideas, Etsy can be an amazing place to take your small business to the next level. 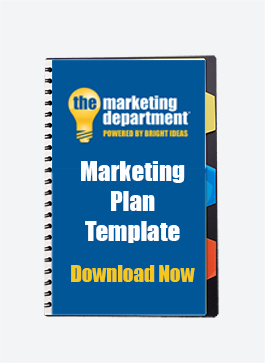 Download the Marketing Plan Template to have clear goals in mind when developing your Etsy business.